On the east side of St. Jacques sits a house that has settled on its foundation, looking comfortable in its slightly tilted angle; evidence that it has been there for some time. It reminds me of sitting in a chair and settling into the cushion, eventually feeling too snug and lazy to move. Though the house hasn’t moved, several attachments have been removed, the local road has crept closer and closer to its side and families have moved in and out of it for over a hundred years. The house has a mansard style roof which today makes it stand out from those surrounding it. The Mansard roof gets its name from the French architect François Mansart (1598-1666) of the Beaux Arts School of Architecture in Paris, France. Mansart revived the style which had been popular during the era of French Renaissance architecture. It received another revival in the 1850’s during the reign of Napoleon III, known as the Second Empire. Since then the Mansard style roof has been frequently referred to as a Second Empire style. The style became quite popular between the 1860’s and 1880’s in parts of North America, including Newfoundland. View good examples of this style in Newfoundland here. A great number of houses were built with this style of roof following the Great Fire of 1892 in St. John’s. A Mansard style roof has two slopes. On the side of the house on the upper story is a gently curving slope accentuated by Dormer Windows. From the top of this curving slope, starting at the eaves, the roof has a low slope which is sometimes locally referred to as a flat roof, even though it has about a twelve inch pitch. It was the development of roofing materials such as felt which enabled this design to work. Other materials such as wooden shingles could not allow enough water to run off with such a low slope. The roof style emerged from a very practical need to expand attic space. Under a peaked roof the slope prevented there being much headroom. By changing the slope and flattening out the roof, a building gained an almost complete story, making the space much more functional. On top of that, it looks good. 1890 and 1910. 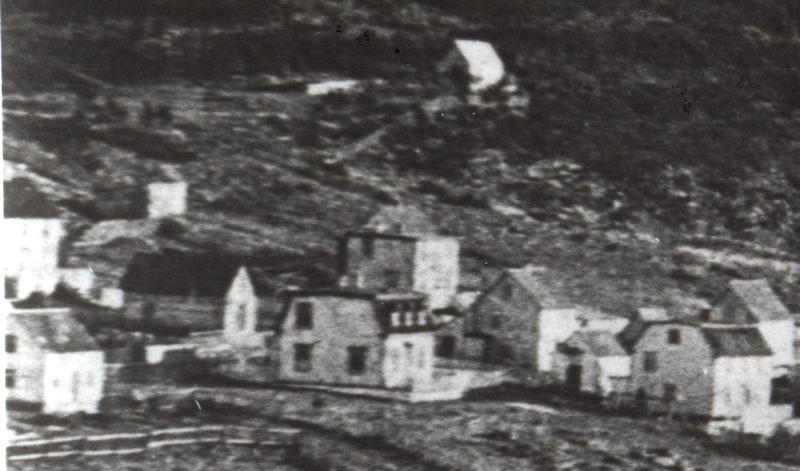 This is one of two identical houses built by the Young family on opposite sides of the road which ran along the east side of St. Jacques leading to the government wharf and Burke’s Cove. This house was owned by Samuel Young. The house across the road was owned by Randall Young. There is a story which says that a third house was to be built for the third brother, John; however, a downturn in the family fishing business brought on by the loss of two schooners within a couple of years curtailed that plan. Consequently, John lived in an equally as big, but older salt box style house nearby. Their sister, Bertha, lived in a house with a roof style which resembled the Mansards but had a fixed, steeper slope set above the second story making room for an attic space. This may have been the original family home owned by their parents James and Sarah Young. Samuel Young’s house overlooks St. Jacques harbour; the living room window still serving up a vista against the hills of the western side highlighted by Bottle Hill and the expanse of water in between. Directly below, lies the shoreline where the Young Brothers Fisheries company operated. Their three ‘big stores’, as they were called, have been replaced by contemporary fishing sheds and stages. The cove where their two and three masted schooners berthed, hosts small fishing and pleasure boats now. Yet, in quiet evenings it is still possible to hear the echoes of anchor chains and water splashes from the work of men securing their homes away from home. 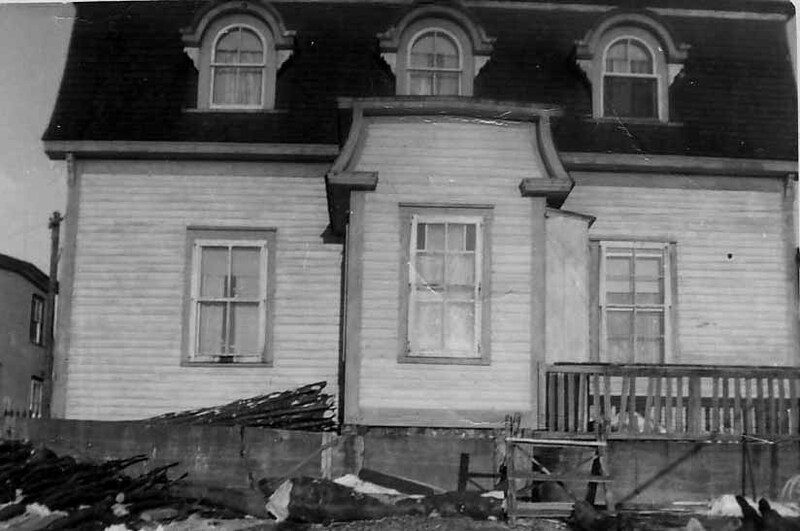 If we examine the 1921 Census for St. Jacques we see who was living in this house. There were Samuel J. Young, his wife Martha (Reeves) who was from St. Lawrence and their three children, Hazel, William (named after his great-grandfather) and James (named after his grand-father). They also had a daughter Ada who had moved to the United States and married before the date of this census. As with every family, children grow up and their parent’s generation passes on. Samuel died on February 18th 1934; Martha died September 18th 1955 in the house where she had spent all of her married life. Ada moved to Flint Michigan, United States; William moved to St. John’s, Newfoundland; James moved to Halifax, Nova Scotia; while Hazel remained at home and cared for her ailing mother. Following her death Hazel too moved to St. John’s, Newfoundland. When she did, the final member of the Young family that lived in this house turned the key for the last time. 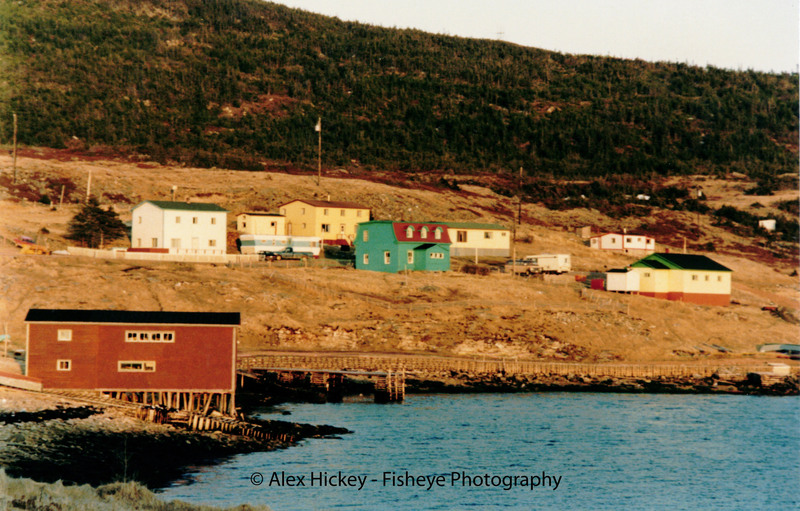 Over the years there have been descendants of Sam and Aunt Mattie who found their way back to St. Jacques to gaze upon the house, to stare out into the harbour and to reminisce with local residents who remembered them. Now, there are very few who feel a tangible link to the couple who made a life for themselves and their children in this house. None was more poignant than the visit of Ada Young’s daughter Margaret who visited the house for the first time in her early eighties. Expecting to see only a building that once was lived in by her mother who left St. Jacques in 1919, she instead felt what is was like to stand in the garden of her grandmother, pick a budding rose from her grandmother’s rose bush and climb the stairs to a bedroom where her mother slept as a child. When someone stands in a space and physically connects memories, stories, emotions and dreams together in a single moment there are no words to describe the experience, no means by which the chain of human contact can be expressed. Such was the instance when Margaret and her daughter came back to the house and once again brought the feet of Young’s across the threshold. What memories are there in the boards which constitute the walls of a house? What traces of people are left behind in the rooms after they leave? What makes a house the home of ancestors? What is the story of a house? This has been a tiny glimpse into the story of Sam and Mattie Young’s house. Alex we love reading this blog. I have shared this particular story with several family members here in Michigan. Mom did love her visit as did I. We were so please to meet you and Hazel and Hazel’s Mom and brother. Hope to return someday. Hope your brother is doing well with Grandma’s house renovation. Reading this gave me feelings that I can’t describe. Samuel was my great-grandfather. William was my grandfather. Thanks Alex! Todd we must be cousins-nice to meet you. My grandmother was Ada Young.